iPhone 6 Release Date Nears with More Speculations! With only a few weeks till the expected *huge* iPhone 6 release event, more and more people are speculating about the exact date of the event. Traditionally, Cupertino has always kept iPhone release events in September, but the dates differ. Apple’s new iOS 8 is also set to make to the big launch event along with the new iPhone 6 variant(s). We have already received the iOS 8 Beta 4 build which brings the launch date even nearer. Earlier reports indicated iPhone 6 release date to be September 25th, however, today another source is claiming the date to be September 15. While the date may not seem to matter much to a few, Apple’s loyal fan following waits for the smartphone release event every year. Followed by millions around the world, iPhone 6 release keynote event is one of the few major tech events. This year is even more important as it is the first time that Apple seems to be giving the nods to the demand of a larger display screen catered majorly by the Android based smartphones. Having kept similar design and screen size, this is the first year that Apple will release a larger and slimmer, curved iPhone – if the trillions of rumors and leaked images are to be believed. – Read: Alibaba opens the iPhone 6 pre-orders! “These people say that the second and third weeks of September are the mostly likely weeks for the event to be held, but they add that manufacturing uncertainties could alter the event’s timeframe. A decision has not been finalized, and sources made it clear that the plans are in flux. Today’s report comes from 9to5Mac who also give some more credence to a mid-September iPhone 6 release event. Based on the information provided from sources familiar with Apple’s plans, the tech giant is “tentatively” planning a launch event for the next gen iPhone and iOS 8 in mid September. iOS 8 is expected to see two more beta builds before a Golden Master build in late August. While this is just another speculation, the report does coincides with many others hinting at a similar date. Note that earlier speculations of iOS 8 Beta builds release date did come out to be true laying some credibility to our interwebs sources in Apple. This mid-September event though will only see the 4.7-inch iPhone 6 and not the larger, 5.5-inch smartphone, as expected earlier too. Not even one report is hinting at a event where both the smartphones are released together staggering the larger phone to a later date. 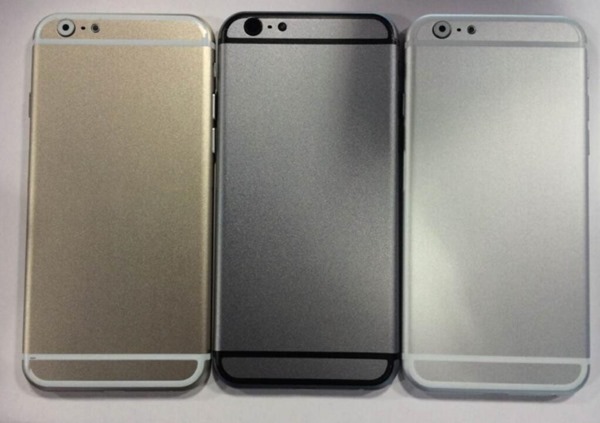 In fact, the larger iPhone may just be released in 2015 as was rumored a few months ago. Earlier, we also saw reports that OS X Yosemite release date was delayed and will now be set sometime in October. October, like the previous years, will see Apple’s popular tablets which are reportedly seeing a decline in demand but still a consumer favorite product. Apart from iPad variants, OS X Yosemite and the highly-awaited Apple iWatch is also rumored to be released for the public in October.